GRAIN aka Gaurav Raina. One half of India’s biggest electronica export – Midival Punditz, Gaurav is no stranger to pushing the envelope till it gives in. After over a decade and a half of Midival Punditz, Gaurav’s solo project – GRAIN is about going back to the roots and producing quality music. From being DJ’s in Delhi clubs to making their own music and releasing 3 studio albums, Midival Punditz began making electronica when it was just starting out in the West. Eventually leading to the conception of Asian Electronica, Midival’s journey has now come a full circle with both Tapan and Gaurav venturing out under individual monikers while still continuing to play together. As a producer, Gaurav has earned varied experiences working with the likes of Anoushka Shankar, Karsh Kale, Sting and Norah Jones. As an artist, he has performed with international names such as Alicia Keys, Norah Jones, Usher etc as well as composed background scores for Bollywood films including Dum Maro Dum, Karthik Calling Karthik and Soundtrack. 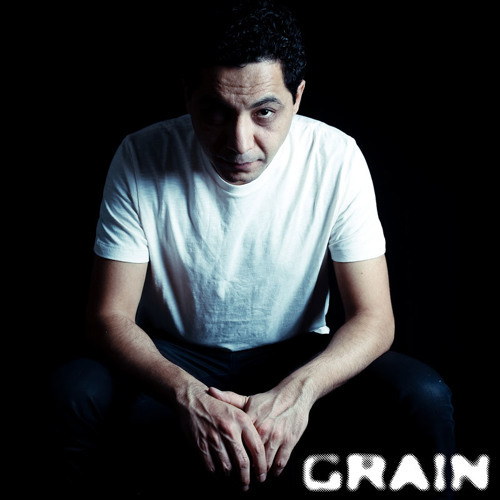 A DJ who plays cross-genre, experimental sets and explores new scenes and sounds, GRAIN’s music flows from Electronica to Indian Electronica and Drum n Bass to Dubstep. Born from Gaurav’s personal desire to write songs and vocal tracks, GRAIN’s tracks started out as experiments with Karsh Kale and then with Talia Bentson. Once Karsh and Gaurav wrote their track It’s All Right, GRAIN’s entire sound emerged clearly. ￼￼￼￼ Now spending time in his studio fine tuning his first album titled Grey to Silver, GRAIN has been unleashing his new brand of music at live gigs and intimate listening sessions. His upcoming album will also feature a series of intense collaborations with some of the most original and inspiring artists from India. The album is an exploration into lyrical songwriting, gritty textures and deeper sounds with a universal accent and features co-labs with Karsh Kale, Anoushka Shankar, Monica Dogra, Ankur Tewari, Brooklyn Shanti, Talia Bentson and Bhrigu Sahni. GRAIN will be taking over your city’s soundscape real soon, so watch out!